“HUD is willing to put a caveat [into their guidelines] that tenants must have a letter from a licensed health care provider that they have a demonstrated ongoing professional relationship with, not just on the internet,” Booth said. She concluded that landlords, property managers and associations would be permitted to call the health care provider to verify their relationship, and hopefully there will be language further clarifying what constitutes a reasonable accommodation for ESAs. While some argue that there are many legitimate psychological and emotional disabilities that benefit from the use of emotional support animals, unfortunately the rules governing ESAs are frequently abused in order to circumvent legitimate community association pet restrictions. 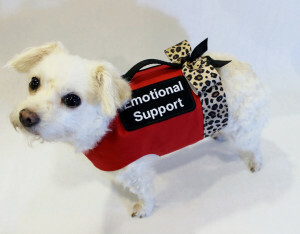 In fact, a cursory search of “emotional support dog” on Google produced more than five million results and provided links to multitudes of kits with “emotional support dog certifications” for sale. Given the growing popularity of requests for emotional support dogs and other animals for both legitimate and illegitimate disabilities, community associations with pet restrictions should work closely with highly experienced legal counsel in order to avoid any potential legal liabilities stemming from denials of these requests.